Malaysian Unit Trust Week (MSAM 2012) spread its wings to East Malaysia for the second time - this time in Sabah - and maintained the theme "Investment For 1Malaysia". The nine-day Unit Trust Week from April 20 - 28, 2012, organised by PNB, was also participated by heavyweights like Malayan Banking Bhd, Sime Darby Bhd, I&P Group Sdn Bhd, UMW Holdings, Chemical Company of Malaysia Bhd, Malaysian Industrial Development Finance Bhd and national car maker Perodua. During the opening ceremony on Friday, April 20, visitors stood a chance to win a Toyota Hilux Double-cabin while, on the closing ceremony on Saturday, April 28, visitors could expect to be lucky enough to win a Ford Fiesta 1.6L Sport, Modenas motorcycles, laptops, iPad 2 and Samsung Galaxy Tab 10.1. Happy ending, all prizes being won by some lucky visitors. Not me. I visited the exhibition on the opening day and I must say the tents setup and the way the organiser set the booths were done in such a professionally manner. I think it must've taken a lot of planning, energy and money to stage such event. Apart from the big opportunities to win cars, almost all exhibitors held some sort of contests and activities for visitors to take part and win something. 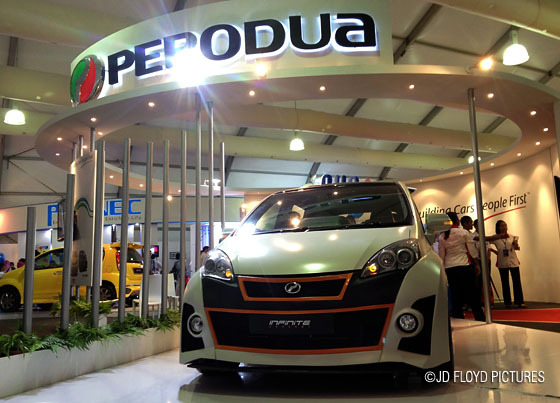 One of the modded vehicle on display - Perodua's Infinite concept car. Since 2000, there have been 12 similar MSAMs but this one will be remembered as the one with the highest recorded visitors attendance. 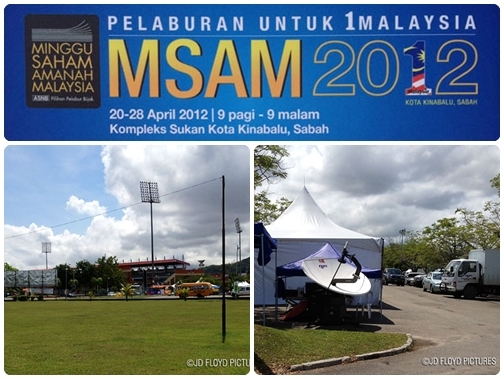 Well done PNB for attracting more than a quarter of a million visitors and bravo to the attending Sabahans. “The figure in Sabah is the best so far with 268,787 visitors. 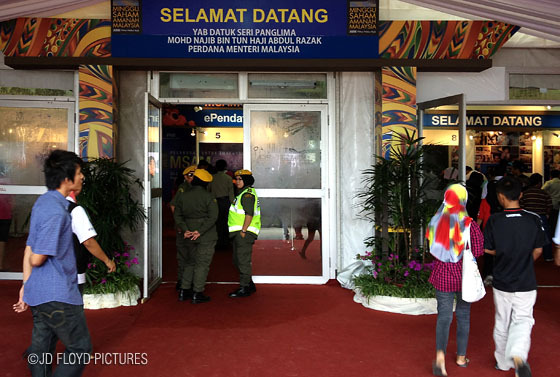 The figure also surpassed our initial target of 200,000 visitors,” - PNB Group chairman Tun Ahmad Sarji Abdul Hamid. 268k of people, it must be very crowded. @rainfield61. For 9 days with accumulated 268k of people is like 30,000 daily so, yes, it's crowded. not eѵen using WIFI, just 3G .. Anyhοw, wonderful blog!